The lineup for Dancing With the Stars: Athletes just keeps getting better and better! 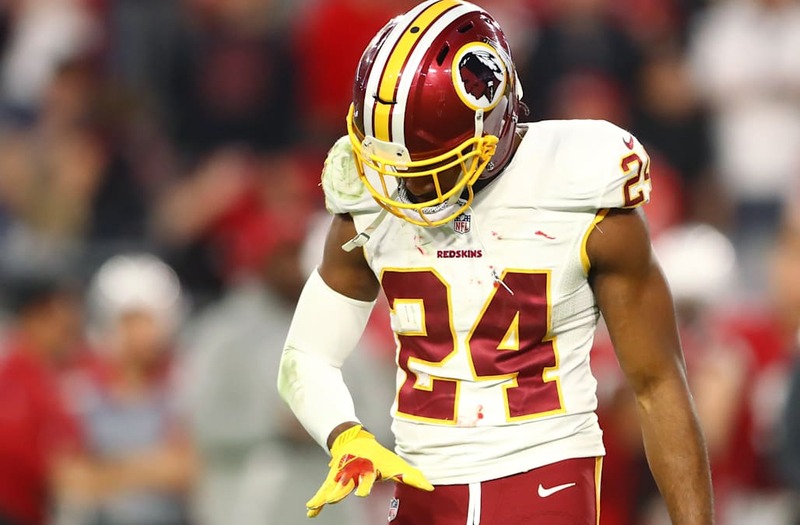 A source tells ET that NFL star Josh Norman will be vying for the mirrorball trophy during the four-week, all-athlete edition of the dance competition show. "Josh is a total lose cannon!" the source says of the Greenwood, South Carolina, native, who stands at 6' 0" tall. "No one ever knows what’s going to come out of his mouth! He's really funny and competitive and loves the camera." "If he doesn’t agree with a score the judges give him, you can definitely expect him to share a piece of his mind," the source adds. "He’s going to be a lot of fun to watch this season." Norman is a cornerback for the Washington Redskins, and was drafted by the Carolina Panthers in the fifth round of the 2012 NFL Draft after playing college football at Coastal Carolina. He is considered to be one of the best cornerbacks in the NFL. The 31-year-old athlete will be competing against nine other stars, including Tonya Harding, Adam Rippon, Jamie Anderson and Jennie Finch. ABC does not typically comment on casting rumors, but the full lineup of athletes (and who they're partnered with!) will be revealed Friday on Good Morning America. Dancing With the Stars' all-athlete season premieres Monday, April 30 at 8 p.m. ET on ABC.